Looking for ways to travel to and from your hotel? When you arrive at the Orlando International Airport you will find it is easy to find your ride when you book it in advanced. With easy access to I-4 getting to your destination is quick and easy. 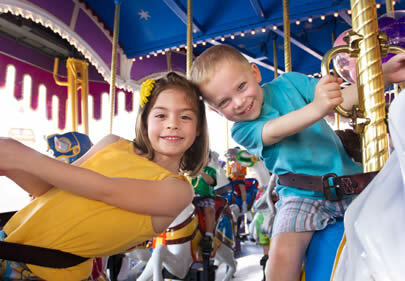 Within a short drive from Orlando you can find Kissimmee, an area filled with the best theme parks in Central Florida. 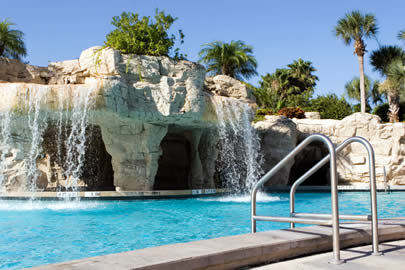 From the Rosen Inn at Pointe Orlando to the Disney's Beach Club Villas you can find many resorts who offer water parks at their location. Kids of all ages love them all but the Nickelodeon Suites Resort can give your children a memorable experience. The swans and dolphins that sit on the resorts weigh over 60,000 pounds. It was ranked in the top 100 for the best architecture projects in America. The lobbys have over a thousand custom light fixtures and chandeliers. There are over 20,000 vacation homes including rentals which are conveniently near the major theme parks and attractions. The city has over 100 lakes throughout the area. Lake Eola Park is a twenty-three acre park open to the public near the downtown area. If you like to read then you are in the right place. The Orlando Public Library is the biggest public library in Florida. Orlando is known for being the central theme park capital of the world. Also known as "The City Beautiful" it provides some of the best hotels and resorts you will find worldwide. You can recognize Orlando by the popular fountain at Lake Eola or the impressive Kennedy Space Center nearby at Cape Canaveral. When visiting the area you will find many things to do and not enough time to do them all. Orlando is centrally located in Floriday near several airports along both coasts. If you are tralving between these nearby cities you can easily arrive or depart the Orlando area through these locations. From all inclusive sedans to limousines local providers such as Groundlink and Blacklane can get you there is style and luxury. From the Hilton Melbourne Beach Oceanfront to the Tropical Inn Resort find rides to and from the airport at discount rates. ExecuCar Sedan Service has a professional meet and greet service for passengers needing luxury rides for Sanford, Florida. Centrally located near most theme parks travelers can get to their hotel or resort easily with SuperShuttle Orlando and Mears Transportation. The west coast has unique providers such as Gulf Coast Limousines and Sun Coach Transport who can give you licensed chauffeur services for your destination. 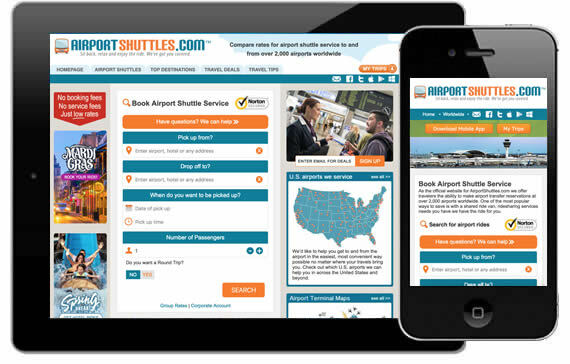 Download AirportShuttles.com's mobile apps when you travel throughout the Orlando and theme park areas whether you are using an Android, iOs or Windows device we have you covered. If you are among the many visitors coming to the Orlando area attending an event at the Orange County Convention Center with your co-workers or friends you will find a state of the art facility with some interesting facts you can share. One of the ballrooms is so big that it is the equivalent size of a football field. With over twenty acres beneath one roof visitors can enjoy a full day rain or shine. 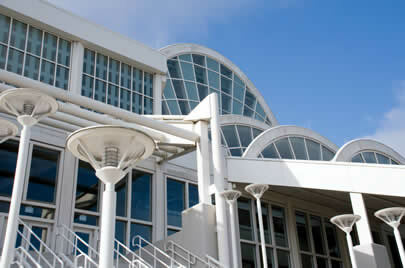 It contains the biggest operable partition system for any convention center worldwide just over 1.5 miles. 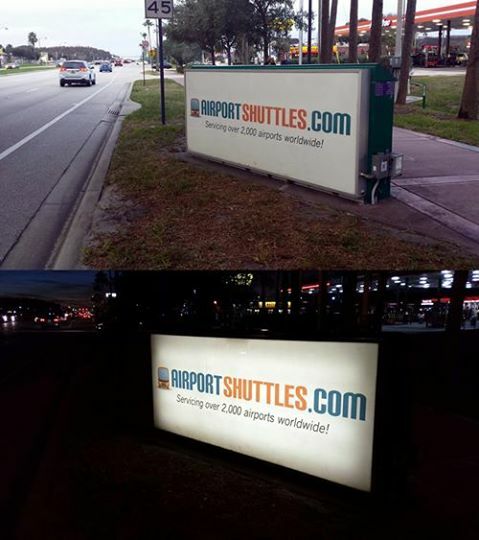 If you are traveling near Gaylord Hotel which is next to Disney as well as the Olde Town area you will pass one of our latest advertisments in the Orlando area.